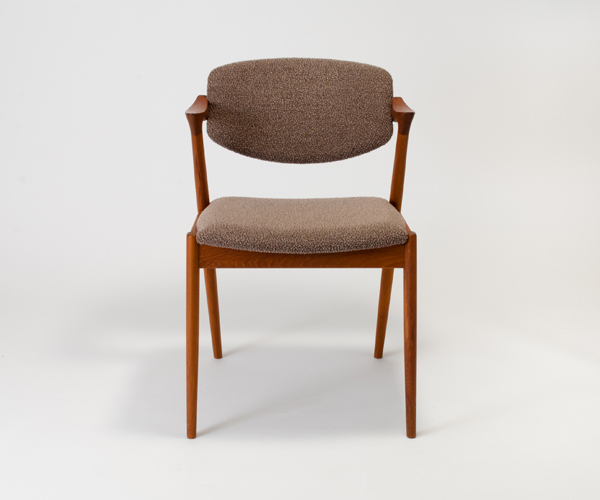 座り心地の良い椅子です（カイ・クリスチャンセン） No.42 chair is designed by Kai Kristiansen who is a designer living in Denmark. It has half arms, the size is spacious, and the back seat is a little bit movable, so you can relax when you sit in. This chair is originally designed in 1950’s, and eventually it was stopped producing because the chair’s structure is pretty hard to be produced. But now, we restarted producing this chair across around the time of 50 years.